The new exhibition “How the Grinch Stole Christmas! : Chuck Jones and the Making of an Animated Classic” will open for regular museum hours, from 11 a.m. to 5 p.m. at Chapman University’s Hilbert Museum of California Art. Admission is free. 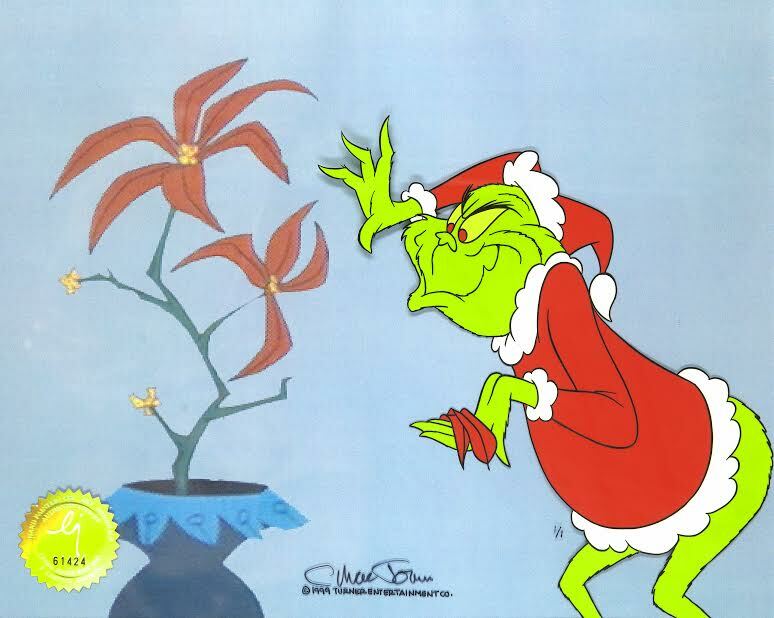 The exhibition, which will run through January 19, 2019, includes original animation cels and drawings as well as historical material from the Chuck Jones half-hour animated television special “How the Grinch Stole Christmas!,” based on Dr. Seuss’s beloved book, which debuted on CBS-TV in December 1966 and has been re-run every holiday season since on various networks. “Generations of us have grown up with the Grinch special every Christmas season on TV, and he’s become a regular part of our holidays,” says Grinch collector Bill Heeter of Colorado Springs, CO. The Hilbert exhibition is drawn from the Grinch collection assembled by Heeter and his wife, Kristi Correa, with invaluable assistance provided by the Chuck Jones Center for Creativity in Costa Mesa, CA.